2D digital subtraction angiography (DSA) has become an important technique for interventional neuroradiology tasks, such as detection and subsequent treatment of aneurysms. In order to provide high-quality DSA images, usually undiluted contrast agent and a high X-ray dose are used. The iodinated contrast agent puts a burden on the patients’ kidneys while the use of high-dose X-rays expose both patients and medical staff to a considerable amount of radiation. Unfortunately, reducing either the X-ray dose or the contrast agent concentration usually results in a sacrifice of image quality. To denoise a frame, the proposed spatiotemporal denoising method utilizes the low-rank nature of a spatially aligned temporal sequence where variation is introduced by the flow of contrast agent through a vessel tree of interest. That is, a constrained weighted rank-1 approximation of the stack comprising the frame to be denoised and its temporal neighbors is computed where the weights are used to prevent the contribution of non-similar pixels toward the low-rank approximation. The method has been evaluated using a vascular flow phantom emulating cranial arteries into which contrast agent can be manually injected (Vascular Simulations Replicator, Vascular Simulations, Stony Brook NY, USA). For the evaluation, image sequences acquired at different dose levels as well as different contrast agent concentrations have been used. Qualitative and quantitative analyses have shown that with the proposed approach, the dose and the concentration of the contrast agent could both be reduced by about 75%, while maintaining the required image quality. Most importantly, it has been observed that the DSA images obtained using the proposed method have the closest resemblance to typical DSA images, i.e., they preserve the typical image characteristics best. Using the proposed denoising approach, it is possible to improve the image quality of low-dose DSA images. This improvement could enable both a reduction in contrast agent and radiation dose when acquiring DSA images, thereby benefiting patients as well as clinicians. 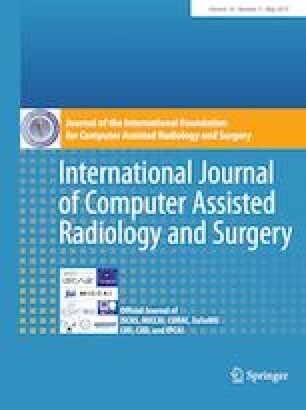 Since the resulting images are free from artifacts and as the inherent characteristics of the images are also preserved, the proposed method seems to be well suited for clinical images as well. Disclaimer The concepts and results presented in this paper are based on research and are not commercially available. This work was supported by Siemens Healthineers AG.